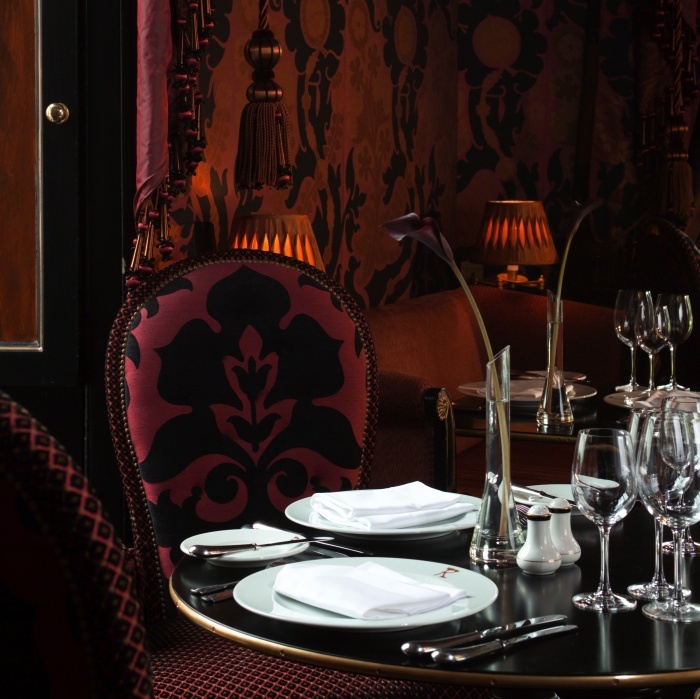 When two of Edinburgh’s hotels have their own Michelin starred restaurants it’s fairly clear that fine dining can be on the doorstep during a stay in the capital, but it’s sometimes quite tricky to know the Edinburgh hotels with great restaurants. 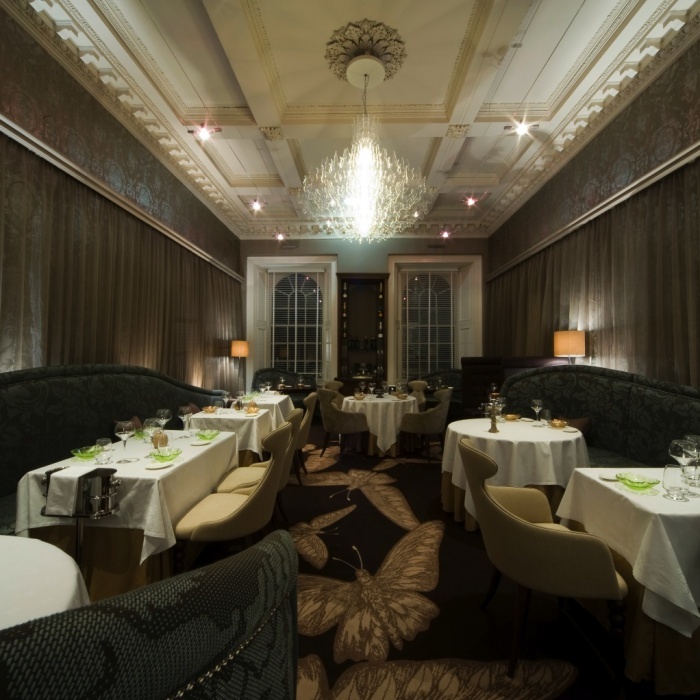 Number One is a Michelin starred restaurant within the beautiful Balmoral Hotel at the east end of Princes Street. 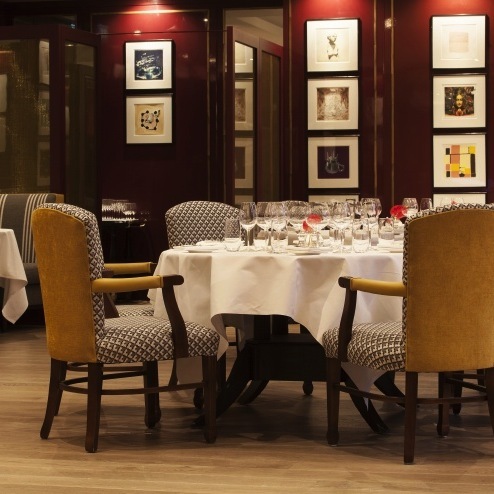 Executive Chef Jeff Bland and his team are dedicated to using the best of Scotland’s larder to create masterpieces of modern culinary excellence in this recently refurbished luxury setting with highly knowledgeable staff and a charming sommelier. It would be a mistake to think that the menu style from which the restaurant and boutique hotel derives its name 21212 (a choice of starter, a set soup, a choice of main course, a platter of cheese and a choice of dessert) means a lack of creativity by the chef because it’s quite the opposite. When it opened in 2009 the restaurant created quite a stir in Edinburgh, not only for its high standards of cuisine, but also for its styling which has drawn us back on more than occasion. 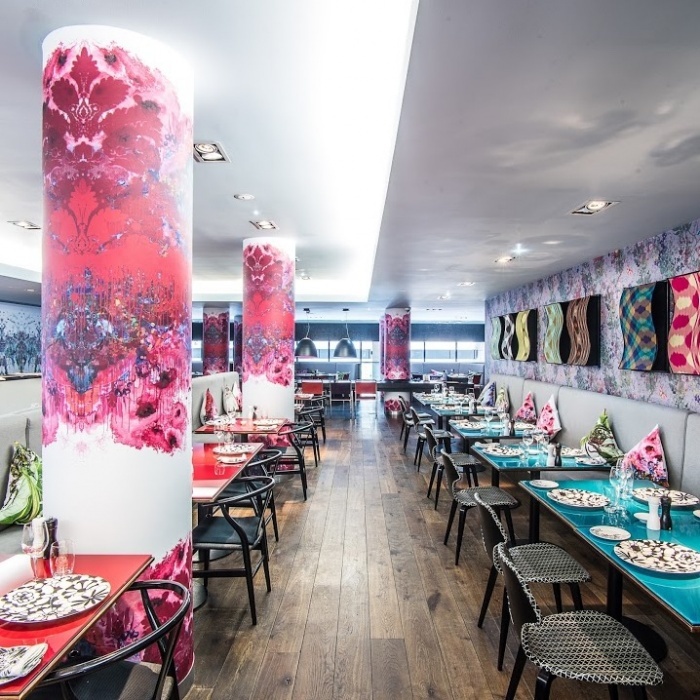 Fresh seasonal ingredients combine with the warmth of Italian cuisine to bring modern Italian dining in a funky and comfortable setting, which is as exciting as the dishes produced. With a bustling but relaxed atmosphere, Cucina is always a fun place to dine and has built a deservedly loyal following, many of whom can be seen drifting from the restaurant to the outside terrace on warm summer evenings. 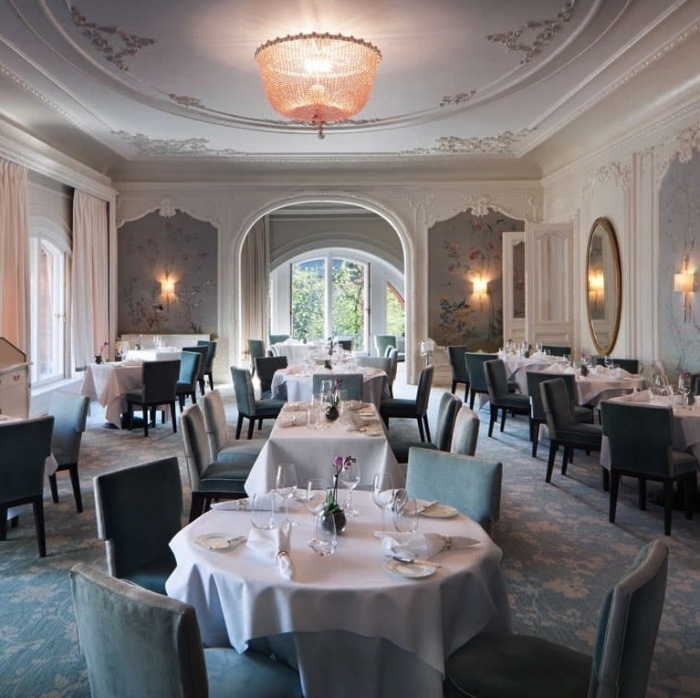 Set within the grounds of the Prestonfield House Hotel, Rhubarb offers fine dining in a truly opulent setting with a wine list almost as intriguing as the venue itself. The cuisine concentrates on fresh Scottish prepared in a traditional manner with contemporary touches bringing it firmly up to date. The grounds of Prestonfield, perfect for an after dinner stroll, are home to a small herd of Aberdeen Angus cows and an ostentation of peacocks. 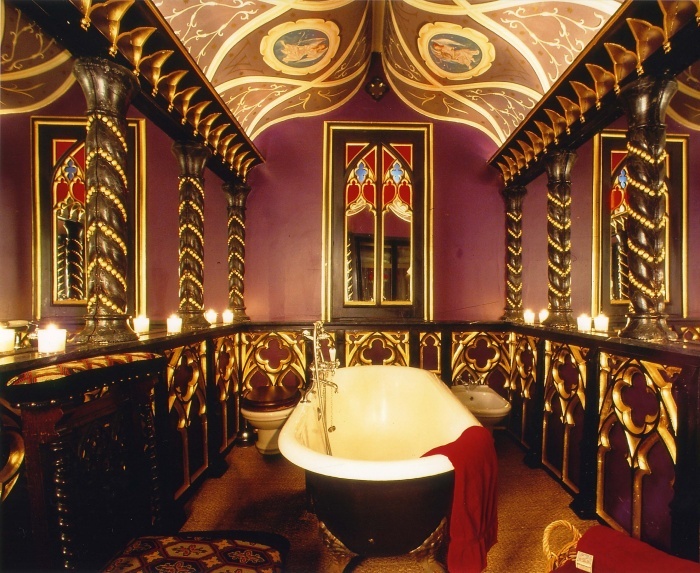 The Pompadour restaurant, on the first floor of the Waldorf Hotel at the west end of Princes Street, is extravagantly decorated in the French salon style and serves classic French cuisine using Scottish produce. The atmosphere is formal yet friendly with service offered during the evening only, with the exception of Saturdays.